On Easter Sunday, 27 March, Sir Peter Cosgrove, the Governor- General, launched Setting Sail for the Great War, stories of the sailors on the World War I Honor Roll of the Sydney Flying Squadron and Sydney Sailing Club. The date marked the exact 100th anniversary of the unveiling of the Honor Roll in 1916. The original unveiling was reported in the Sydney Morning Herald of 30 March 1916, and in the Saturday Referee and Arrow of 1 April 1916. 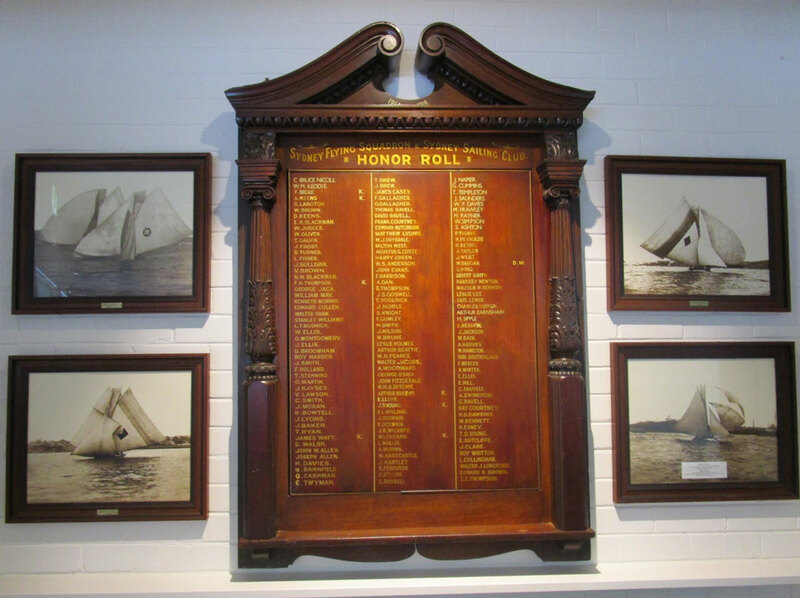 One hundred years later, the Honor Roll hangs in the Sydney Flying Squadron’s clubhouse at 76 McDougall Street, Kirribilli. Setting Sail for the Great War records the lives and their service of 109 of the 149 names of sailors on the Roll. Some won recognition for bravery and exceptional service; others were scallywags who got into serious disciplinary trouble, with all shades and types of character in between! Researched and written by three Club volunteers, the book contributes also to the history of sailing on Sydney Harbour and the legacy of this uniquely Australian class of open boat sailing. Now reprinted, after selling out on the day the Governor-General launched it, the book has great photos and stories of amazing lives and times. Of the men on the Honor Roll, 27 died on active service, 49 were wounded and nine died of wounds or war-related illness. 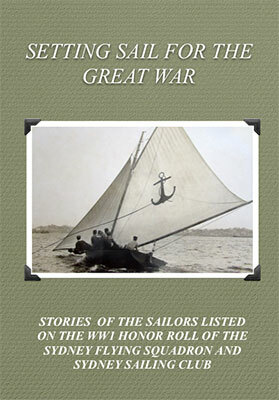 The book ensures the debt to all of them is recorded, and their contribution to our great sailing legacy acknowledged. Something to treasure! “The book is an excellent reference … and so well organised. I have been involved with the production of several books and ‘Setting Sail for the Great War’ covers all aspects of (a) great book”. Gwen Grimmond, great niece of ER Brown.